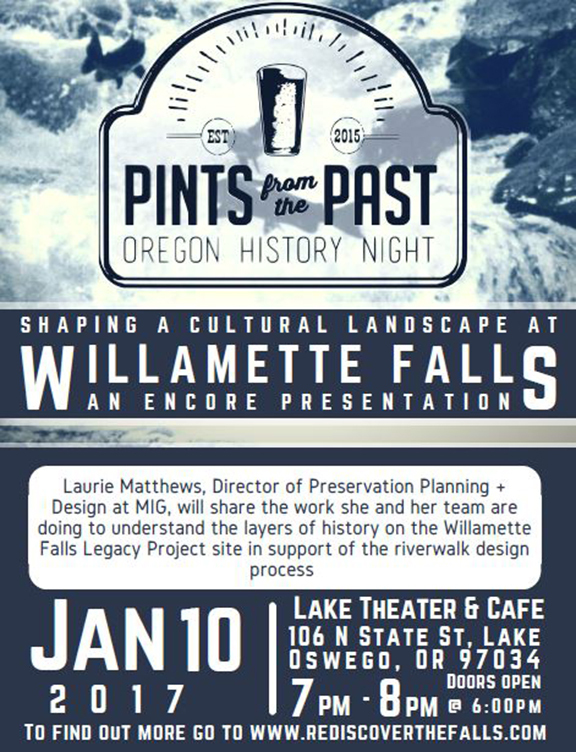 Due to overwhelming interest in the Pints from the Past community event featuring the Willamette Falls Legacy Project’s cultural landscape report, an encore will be held on January 10, 2017 at Lake Theater & Cafe in Lake Oswego. All are welcome, admission is free, no tickets required! Laurie Matthews, Director of Preservation Planning and Design at MIG, will present her work to create a cultural landscape report for the Willamette Falls Legacy Project which will inform the riverwalk design process. This year’s Rail~Volution Conference in San Francisco was particularly timely and ambitious. The conference grabbed the housing crisis by one ear, public transit by the other ear and pulled them into a room for a little talk—for a week. What ensued, Congressman Earl Blumenuer called Rail~Volution 2.0—the next revolution. After attending numerous presentations and experiencing first-hand the results of the Bay Area’s overloaded transit system and housing crisis, it was clear to me there were lessons to be learned. Much like the Bay Area, exploding real estate values in the Portland metropolitan region have displaced many with lower and middle incomes to the urban fringe. In these peripheral communities there is a critical need for transit to help people reach their jobs, which tend to cluster in regional centers. In this case, public transportation isn’t a fringe benefit for the sustainably-minded, but a necessity. While at the conference I saw how affordable housing was incorporated into transit-oriented developments in Oakland and Fremont. These investments did not come easily. Community groups, transit agencies, developers, municipalities and financial institutions each played a critical role in sharing responsibility and leveraging public-private partnerships. Yet the most affordable transportation choices—walking and biking—were not always embraced in the projects. The transit station may link to jobs in the city, but walking to the store is still risky. 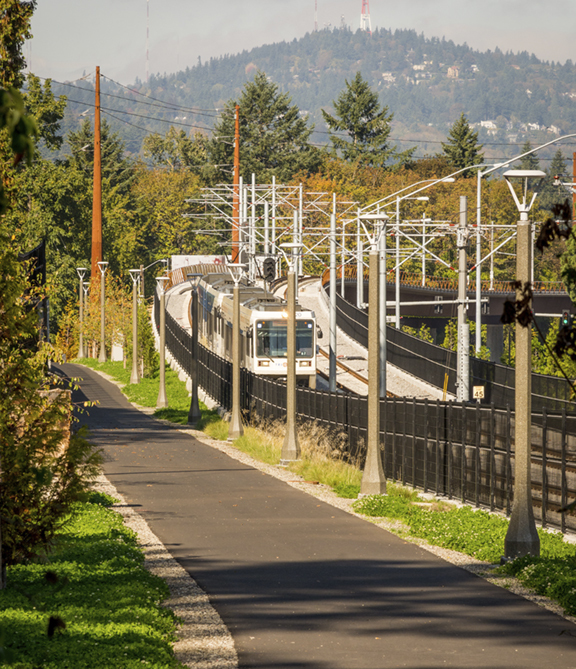 The Trolley Trail in Milwaukie, Oregon is a great example of supplementing regional transportation with a local multi-use trail to better serve communities of mixed income levels. As we grow, let’s not repeat this mistake in our region in the Pacific Northwest. Let’s look beyond buildings and recognize that issues of affordability and geographic equity don’t end at the front door or even with a nearby light rail station. All residents, but particularly those with low and middle incomes, benefit from pedestrian-oriented neighborhoods that provide safe daily connections to schools, daycare, services, shopping and parks. Our cities should adopt holistic policies that plan affordable housing together with improvements to sidewalks, neighborhood greenways, safe route to schools, traffic calming, separated bicycling facilities, recreational trails and the like. Partners in active transportation are well positioned to elevate the conversation from rote affordability to measures of livability. If there is to be a revolution, let’s design an urban environment that sustains it. Last week, we powered-down our computers, put away our drawings and spent the evening volunteering at the Oregon Food Bank with friends and family. 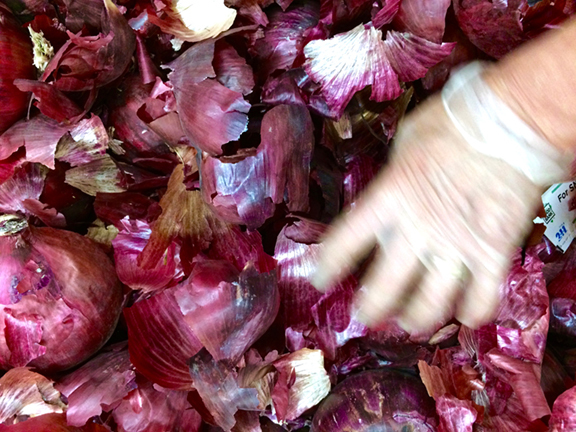 As the smell of onions wafted through the air, we checked in, donned hairnets, gloves and aprons, and along with several other eager volunteers, we bagged thousands of pounds of red onions for Oregon Food Bank pantries around the region. It was a fun activity and easy for all ages to help. You might be surprised to learn that 1 in 5 people in Oregon and Southwest Washington are food insecure, and the Oregon Food Bank helps supply food to 270,000 people in an average month. Needless to say, help is always welcome. We will return to the Oregon Food Bank to volunteer again, as we have in years past. No matter how busy life is, we must always find time to lend a hand. Among the many important decisions voters have to consider in November is Metro’s 26-178 Protect Our Natural Areas ballot measure. Livability of our region has always been an inspiration and driving factor in our work at Mayer/Reed as well as in our personal pursuits with our families. 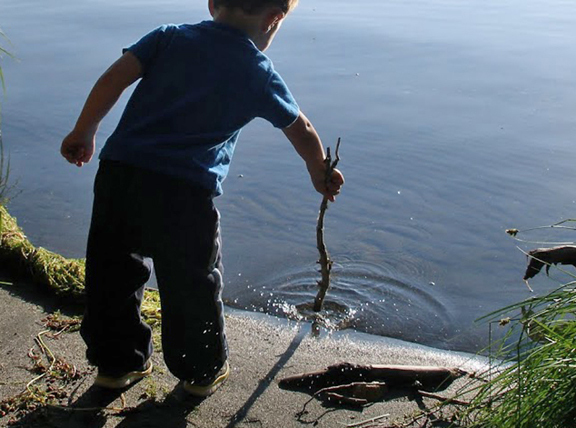 Support of this measure will take steps toward ensuring clean water, restoring wildlife habitat and connecting people with nature. This measure demonstrates what we hold dear as Oregonians. Please join us, and many others, in support of renewing Protect Our Natural Areas. For more information, see: www.protectournaturalareas.com.